A new Strong Baby campaign was launched in Milwaukee to encourage families to join the free Milwaukee Home Visiting Programs. 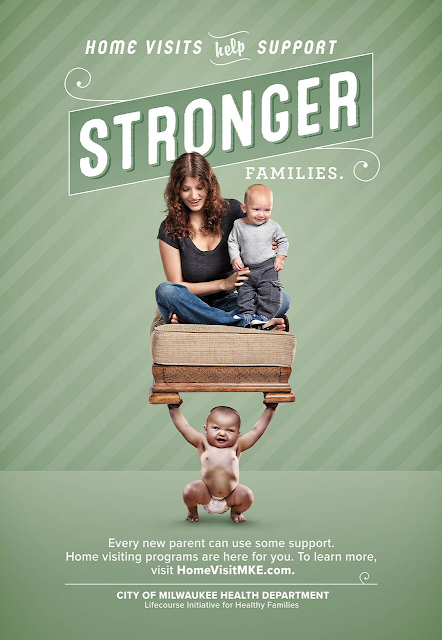 The ads display how Milwaukee’s Home Visiting Programs help to support strong families while decreasing infant mortality rates within the city. Serve Marketing produced a series of documentary videos with local Milwaukee families participating in the Home Visiting Programs. Those can be found on the YouTube playlist. Serve is the country's only all-volunteer, nonprofit advertising agency whose mission is to give under-served charitable causes a stronger voice in the community. Since 2002, Serve volunteers have created behavior-changing public service campaigns for over 50 local and national non-profit causes. 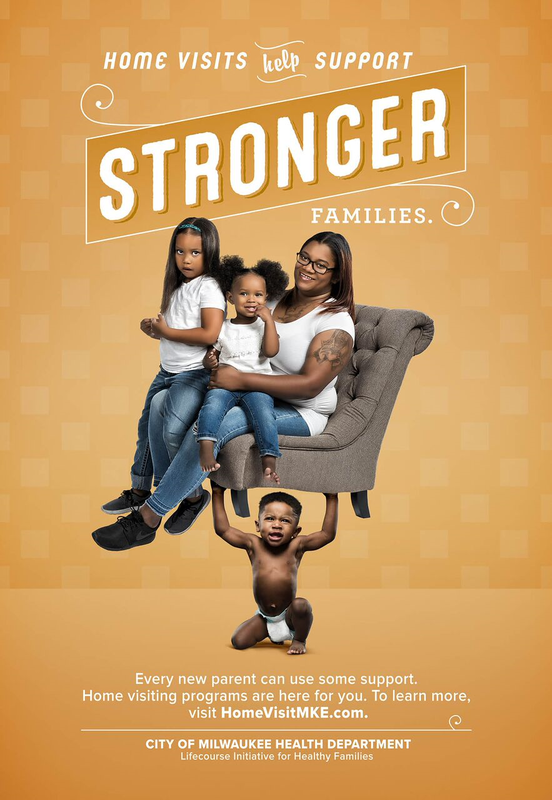 MILWAUKEE – From push-ups and chin-ups to karate kicks and more, Milwaukee’s Strong Baby campaign has celebrated its miniature stars’ acts of strength for a very serious cause. On September 28, Mayor Tom Barrett and Commissioner of Health Bevan K. Baker were joined by partners from the Lifecourse Initiative for Healthy Families at United Way of Greater Milwaukee & Waukesha County as well as Serve Marketing to release the latest phase of the iconic campaign. The campaign is aimed at increasing awareness for the City of Milwaukee Health Department Home Visiting Programs. The programs, which serve pregnant mothers, fathers and their families through the prenatal period and after the child is born, support healthy birth outcomes, child development and family self-sufficiency. 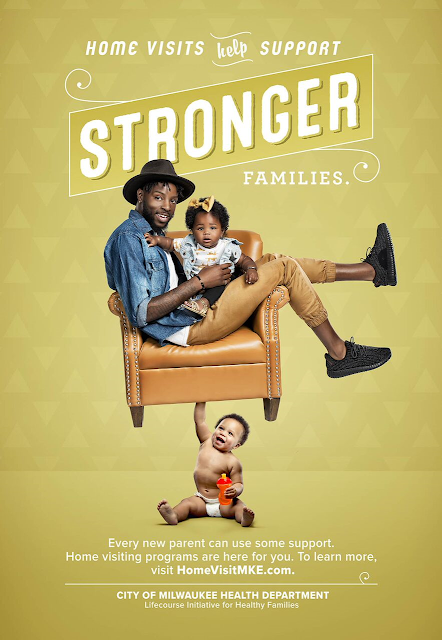 Outdoor and bus advertisements featuring families served by the programs will begin appearing in targeted locations this week with the message “Home visits help support stronger families.” A new website will be launched and Facebook, Twitter and Instagram messages will provide information and resources to Milwaukee residents. The campaign is part of the communitywide effort to reduce infant mortality in Milwaukee. Each year, an average of 100 infants die before their first birthdays. Complications of prematurity is the leading cause of infant deaths, contributing to more than 60% of all deaths.